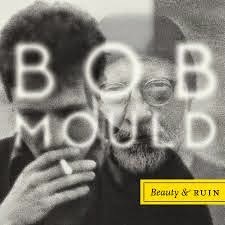 Over the last couple of album's Bob Mould seemed to have settled into a comfortable place, and that came through on a bunch of records that could best be described as 'fine'. I'm not sure what happened, but things have definitely gotten more spicy with his new one Beauty & Ruin. This is probably his finest work in nearly two decades. The songs have an energy that's been sorely missing. His hooks are sharper too, hearkening back to the glory days of Sugar. Anyone who's a fan of Mould's should pick this one up. Bob Mould plays Riot Fest in Toronto on September 6th.